Diving in the Galapagos Islands is probably on the bucket list of every avid diver. The Galapagos Island Archipelago located off the coast of Ecuador is a place that is so rich in both land and marine animals. The animals here are so diverse and abundant that it popularly even inspired the theory of evolution. Given its abundant natural resources, the Galapagos Islands, including the marine reserve is listed as a Unesco World Heritage site which limits travelers to only exploring these parts on a liveaboard. 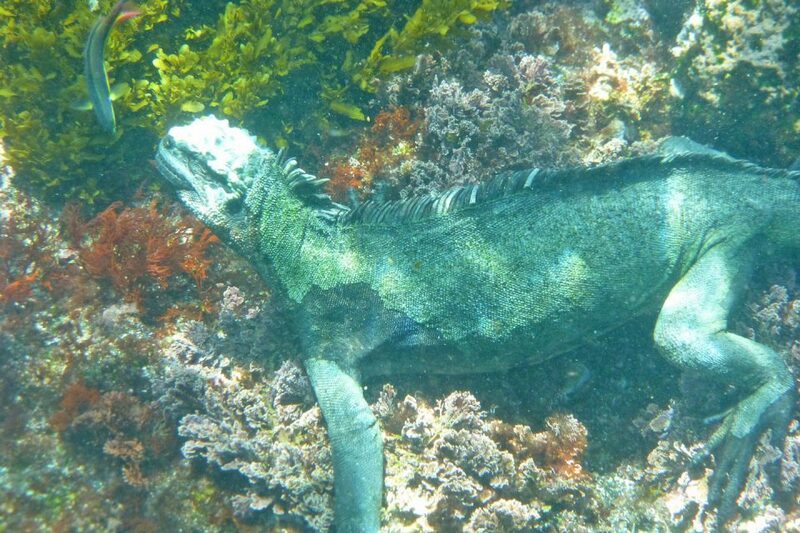 Liveaboards in the Galapagos Island visit two of the thirteen large islands, Darwin and Wold. 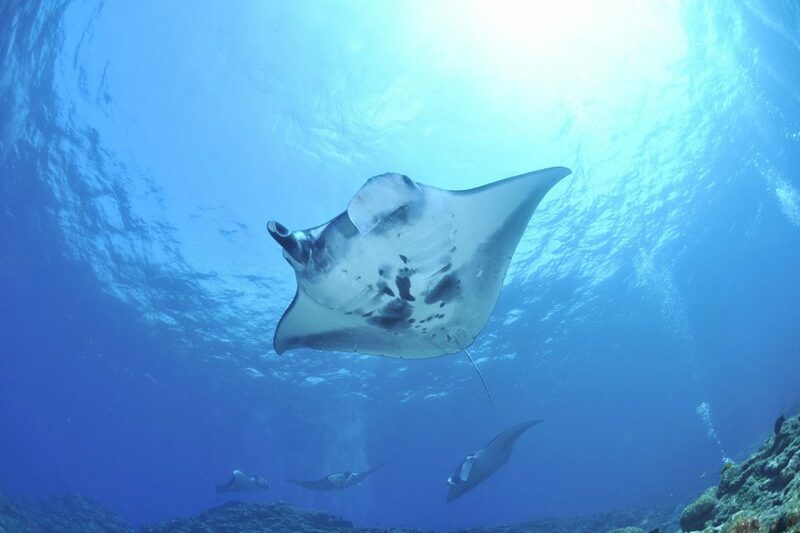 Here, divers can swim in awe around large schools of hammerhead sharks, manta rays, pods of dolphins, and whale sharks. Not to mention the marine iguanas, other species of sharks, and penguins. 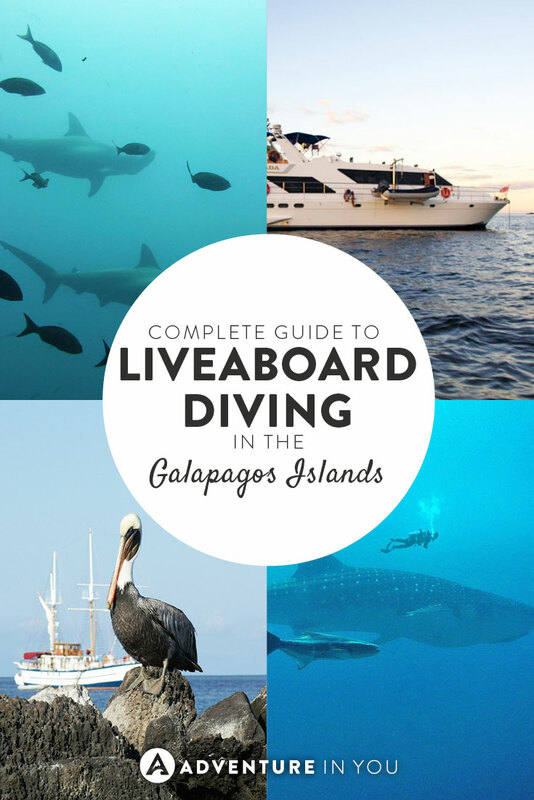 To help you choose between the Galapagos liveaboards, we’ve put together this comprehensive list of liveaboard reviews and popular scuba dive sites. 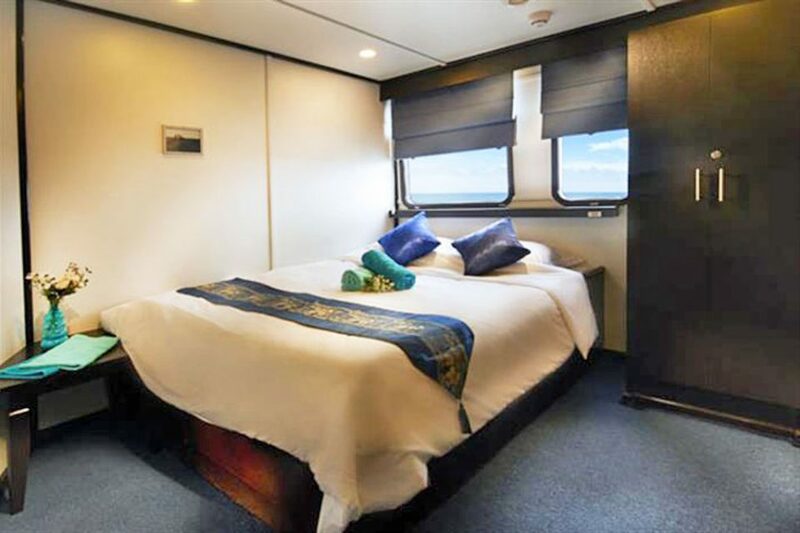 The Humboldt Explorer is one of the most affordable Galapagos Liveaboards, but that doesn’t mean that it lacks quality. 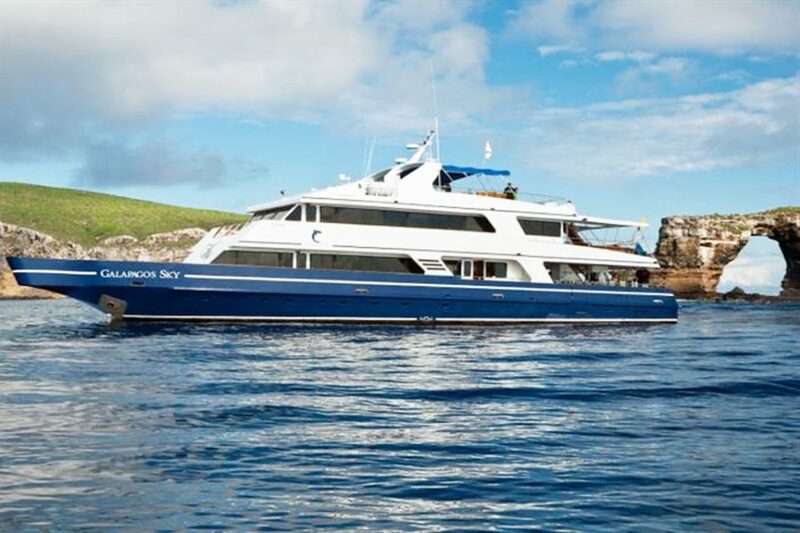 This spectacular 33m ship takes divers to some of the best dive sites in the Galapagos where you can immerse yourself in schools of sharks, tuna, manta rays, and white tip sharks. Offering 8 air-conditioned cabins, all equipped with TV and DVDs. When you’re not diving, soak in their jacuzzi situated in the sundeck. Designed with premier diving in mind, the MV Humboldt has a large dive station, takes, weights, rental equipment, as well as proper camera and rinse tables. 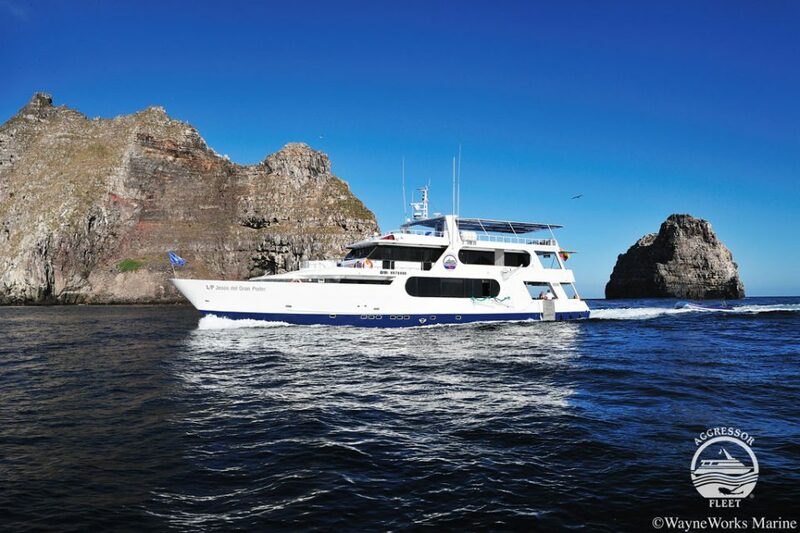 With cruises running 8 nights long, this is one of your best options when choosing a Galapagos liveaboard. If you’re looking for a Galapagos Liveaboards which caters to smaller groups, the Nortada is a great option, offering you a more intimate and private experience. Each cabin has lockers and drawers for storing personal belongings as well as air-condition. 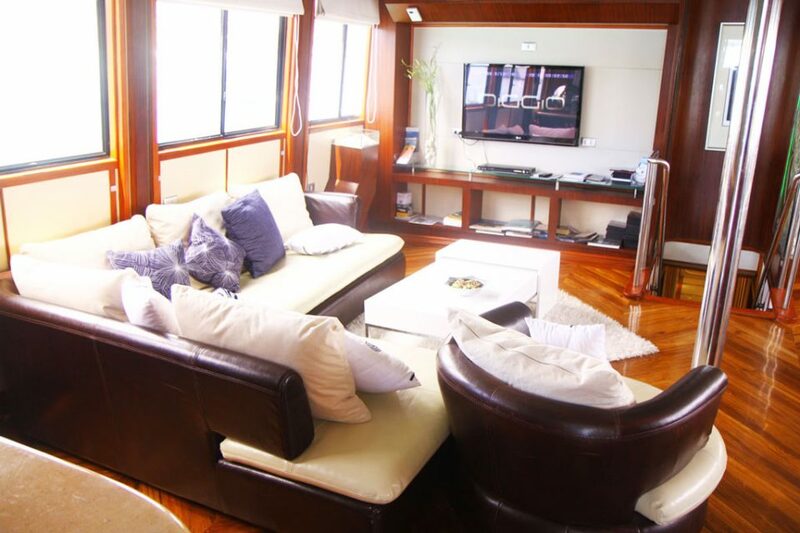 Guests can lounge and dining area equipped with an entertainment system or in the open area and sundeck. Aboard the Nortada, divers can go on at least 20 dives per week around the famous Wold and Darwin islands as well as other dive sites North of the archipelago. Safety is of primary importance which is why each diver is given a marine radio with GPS, dive alert and DSMB. 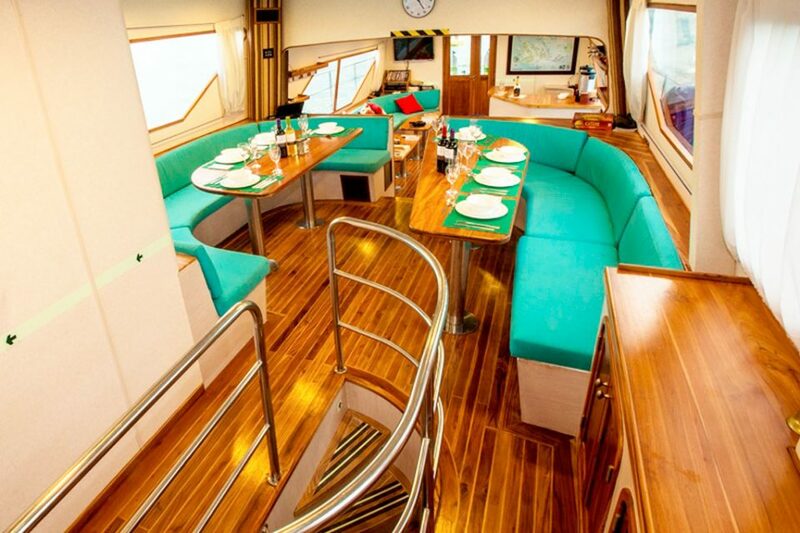 This 32m luxury liveaboard yacht shows you the best of the Galapagos Islands while giving you comfort and relaxation. 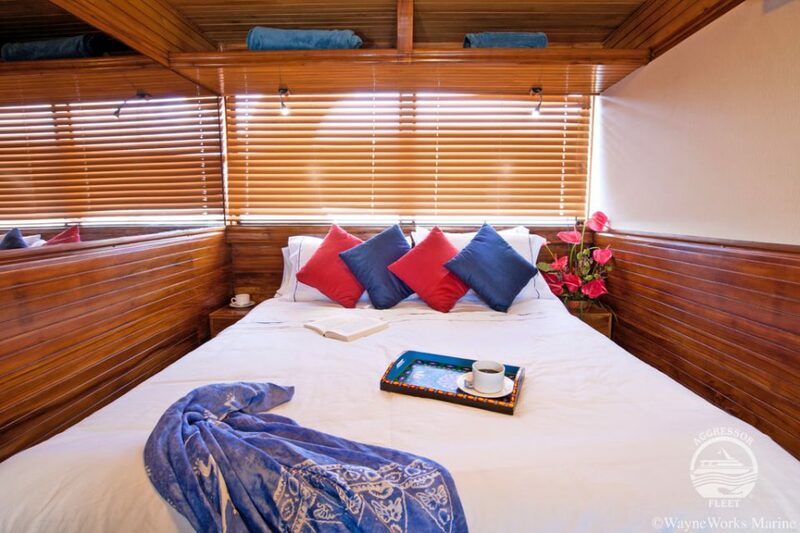 Each cabin is well decorated, complete with a wardrobe and en suite bathroom. There is a spacious indoor lounge area as well as a deck with a full entertainment system. The outer deck has a cocktail bar where guests can unwind after a full day of spectacular diving. The dive deck is ample and spacious, leaving you room for all your equipment. It also has warm showers, rinse tanks, plus camera tables. Offering 7-10 night luxury cruises, you can dive up to four times a day during your liveaboard trip. 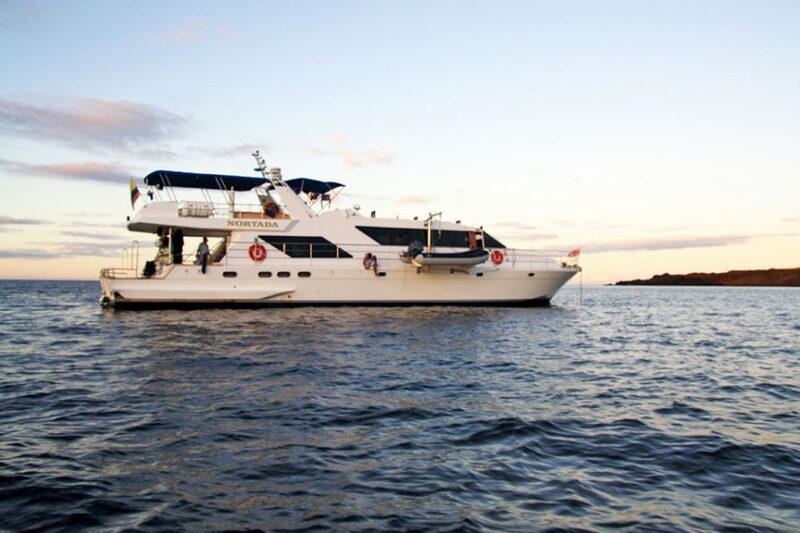 As part of the Aggressor fleet, this 32m luxury liveaboard offers all year round diving around the Galapagos Islands. Offering up to four action-packed dives and two-night dives, guests are able to make the most out of their time in the Galapagos. 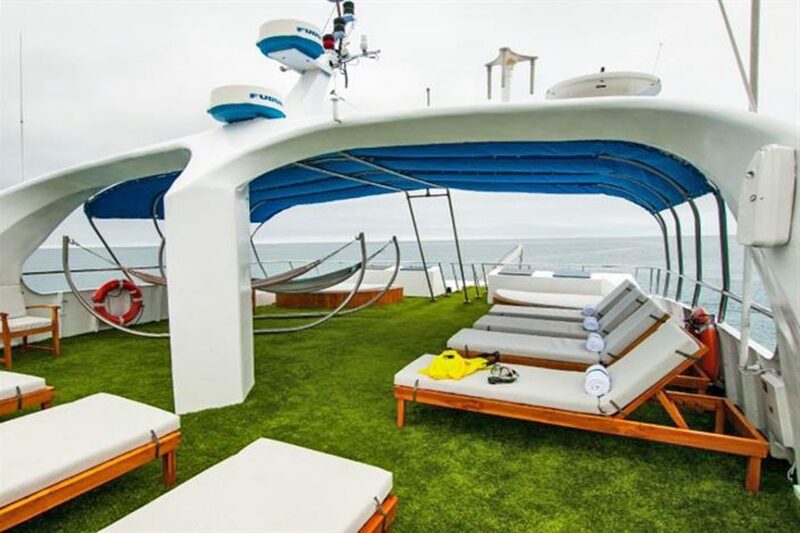 Guests can relax on the large sun deck equipped with sun loungers and deck chairs, as well as a hot tub. The Galapagos Aggressor a large swim platform, air/nitrox fill stations, as well as proper shower and camera areas. Alcoholic beverages from soda, wine and beer are also served complimentary to guests. This liveaboard is very well rated and is a popular choice for guests to take. 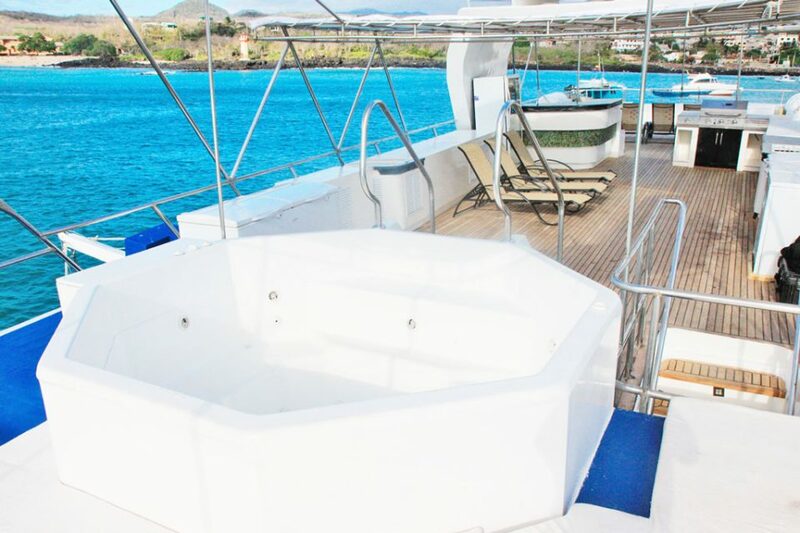 This 33m luxury liveaboard yacht is your top choice if you want to discover the Galapagos in style. Offering lavish cabins, lounge areas, plus a stylish deck, guests can fully relax and enjoy after doing a full day’s dive. Two dive masters are available on board, all very familiar with the underwater conditions. The Galapagos sky has a large dive platform which has ample room and gear storage. Nitrox is provided for free for guests. Apart from this, enjoy buffet style local and International fares as well as complimentary alcohol throughout your trip. While diving is possible all year round, but it can get slightly cold at times. The warmer seasons are from December to May where you can find calmer conditions and currents. Coldest months are from June to November where the sea conditions can get a little bit more rough and challenging. 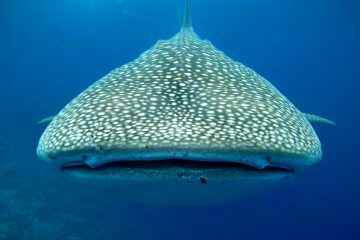 Whale sharks often grace the presence during the cooler season. Most of the liveaboards run tours and cruises all year round. 7mm wetsuits during the colder season is recommended. Due to its location, the Galapagos is an intersection for several ocean currents which is why the marine life is so vibrant and alive. In some areas, currents can be very strong and surface conditions can get choppy, depending on the time of the year. Descending currents may be encountered at some sites along vertical walls. Experienced divers are recommended due to the complexity of some dive sites. However, with that being said, as long as you communicate any troubles with your dive masters, they can give you the appropriate guidance when necessary. A good practice is to ensure that you always have a neon dive flag or collapsible pole stowed in your BC pocket in case the current sweeps you astray. Reef hooks and gloves are also advisable due to the strong currents. There is literally nowhere else in the world where you can swim with hundreds of hammerhead sharks, whale sharks while spotting some penguins and marine iguanas. Nowhere. With that being said, an amazing 20% of the marine life found in the Galapagos can only be found here. This alone is enough reason why you should explore its rich waters. The entire marine reserve is free of commercial fishing, allowing you access to some of the most pristine reefs imaginable. Due to the remoteness, liveaboard boats are the best way to discover the place. Staying on the boats will allow you to reach the dive sites at their peak time, giving you what I would claim, one of the best dive experiences of your life. 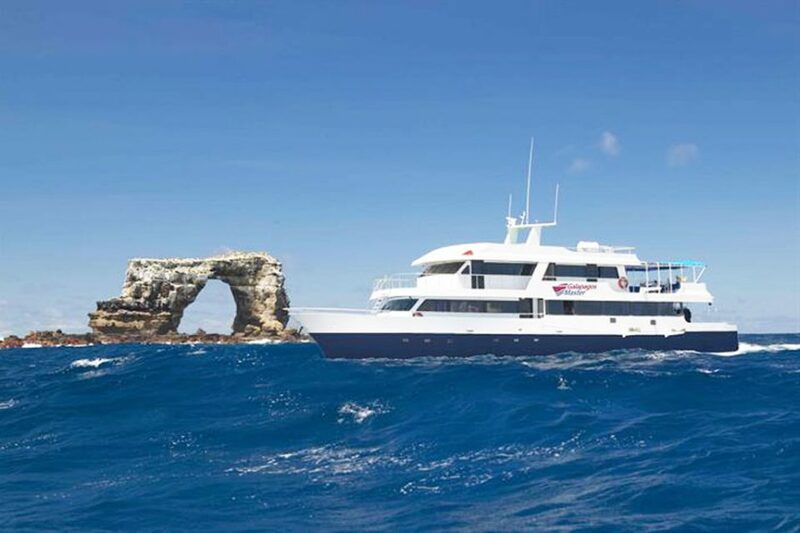 A few of the popular must-visit dive sites that the liveaboards will visit will be, El Arco in Darwin Island. 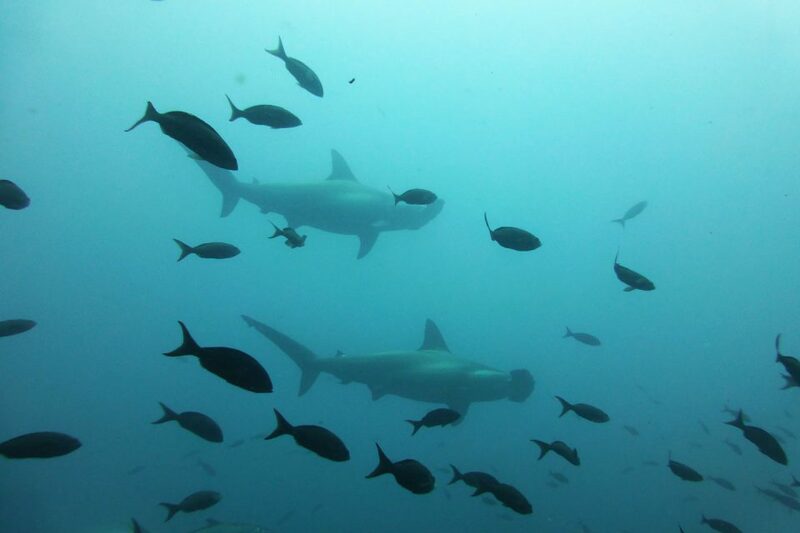 Here, expect to find schools of hammerheads, whale sharks, eagle rays, as well as Galapagos and silky sharks. The currents are strong so usually, you hook yourself in and watch the large creatures swim around you. It is truly a spectacular sight. Other sites not to be missed are Gordon Rocks, Tijeretas Hill for sea lions, and Shark Point. Tortuga Island is for more intermediate divers who are ready to face the deep drift walls plunging down up to 40 meters, or 131 feet. Some divers have been lucky enough to spot an Orca from this spot. Here is a comprehensive list of all of the dive sites in the Galapagos. Apart from the fantastic diving, the Galapagos also offers some of the best non-diving wildlife adventure cruises due to the vast amount of animals seen on the islands. From giant tortoises to various species of birds, its is a fantastic place teeming with wildlife. 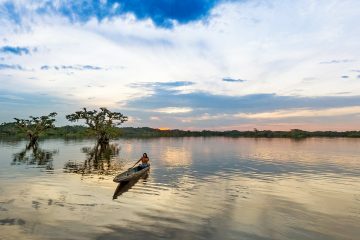 Getting to Ecuador can be relatively easy with lots of International flights flying straight to Guayaquil and Quito. We advise to go directly to Guayaquil as it is nearer in terms of location. 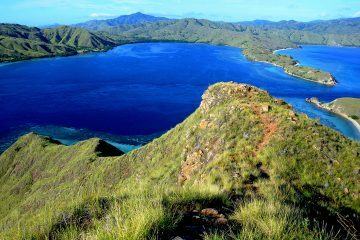 From there, you can fly to Baltra Island Airport. Most of the liveaboards will have staff ready to meet you at the airport so you can immediately get situated and started on your exploration. There you have it! Hopefully, this article has helped you compare these liveaboards and find a suitable one for you. 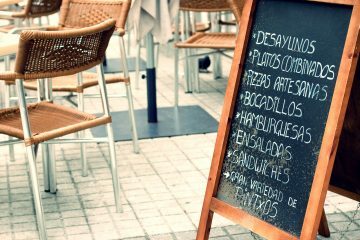 For those looking for last minute deals, liveaboard.com offers great discounted prices which are worth checking out. Diving in the Galapagos is a once in a lifetime experience so choosing the right liveaboard is crucial. Disclosure: Some of the links in this article are affiliate links. That means that if you book any of the liveaboards above, we get a small commission at NO EXTRA COST to you. This commission will help us maintain this site so we can keep producing awesome free content for you. Happy diving!